Flawless skin and glowing cheeks are something that everybody wants. The makeup you apply can go a long way in making your cheeks glow and your eyes pop out? Of course you know that. But, do you know that the brush you choose can make all the difference when it comes to sporting makeup that looks professionally done and sporting makeup that seems to have been applied in a hurry. 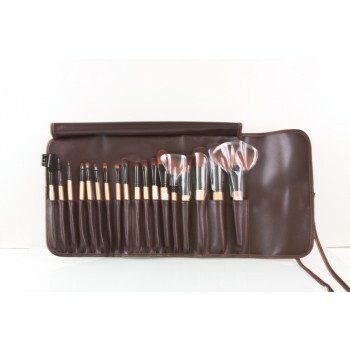 Brush sets are always your best friends as they allow you to purchase the entire set together. However, if you’re new to the world of brushes, getting individual brushes might seem to be a better option. Our helpful guide explains what each brush in the 18 Pc. Professional Brush Set is used for. The angled contour brush is a soft and fluffy brush that is used to apply blush or contours. It is an ideal option for bronzers and mineral foundations. The powder brush allows you to complete your look with powder once the foundation has been applied. It consists of soft and densely packed bristles, thereby making it an ideal option for the area under your eyes, the area around your nose, your blush and bronzers. A fan brush is considered to be one of the most practical brushes to have. It can be used to apply setting powders for softer focus and provide your skin with a weightless finish. Other uses of the fan brush is as a bronzer and a highlighter. A foundation brush is used to apply liquid foundation and cream on your face and give you with the perfect poreless finish. 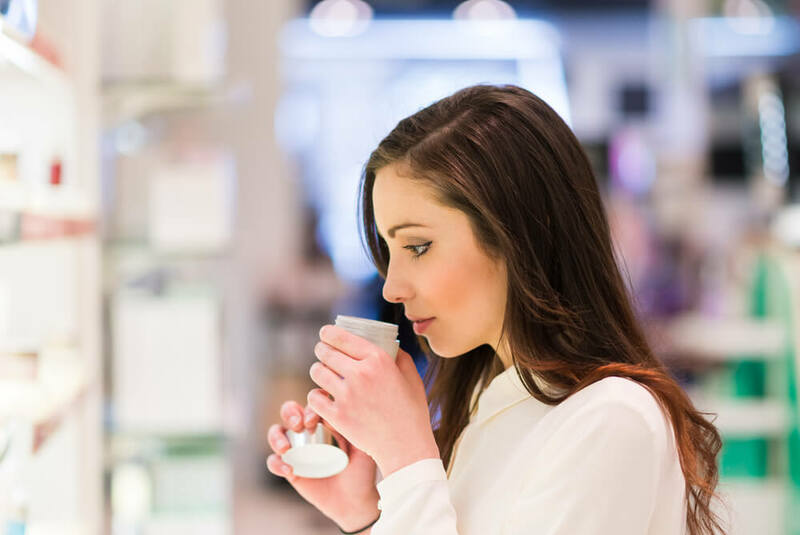 Even though it can be used with serums and face creams, it is best used to apply a mousse foundation. A dome shadow brush is used to create those dramatic looking smokey eyes. The dome-shaped tip of this brush makes it easy to create the effect and the stiff bristles allow more color to be picked up. The best use of a dome shadow brush is to apply eyeshadow on your brow bone or on your eyelids. An angled shadow brush is ideal for smudging and contouring. The round and angled shape makes it easy to apply the shadow in the corners and in the crease of your eyes. A mini fan brush is quite similar to a fan brush in its application. It is used for applying setting powders that give your skin a softer focus and offer you a weightless finish. A mini fan brush can also be used as a bronzer or a highlighter. A lip brush is considered to be a must-have. Once you understand how to use one, you will never want to use lip color directly from the tube. The lip brush features a long wand and a tapered point head to offer you with better precision and soft bristles. It can easily be used with lipsticks and lip gloss. The eyeshadow fluff brush is conveniently sized for portability. It is a versatile brush that can be used to expertly apply eyeshadow all around your eyes, including the eyelids, the brow bone and the crease. It is also considered to be ideal for blending your eyeshadow. The blending brush is another tool available for blending your eyeshadow. This brush has a unique shape and flexible bristles that allow you to apply a light dusting or use a narrow tip in a particular area. It can also be used to smudge, diffuse or soften your lid color. A liner brush is used for darker eyeshadow shades. It is an ideal solution for those looking to create that perfect even looking line. Liner brushes work well with creams, powder eyeliners and gel. A spoolie brush is considered to be one of the best solutions for your brow. You can use the brush to get your brows into place and distribute the pigment when you wish to fill in. The spoolie brush can also be used for pencil blending your brows and mascara. The mascara cob is similar to a big bristly brush, but its tip is known to taper off. These brushes are an excellent solution for long and short lashes and a must for all perfectionists. It is ideal to remove clumps and separate them. A crease brush helps to blend in and shade your eyeshadow flawlessly. It is a bit small and its bristles are soft enough to blend out your crease as well as stiff enough to pick up the color. The brush can be used for any eye shape, but it works best on smaller eyes. The blush brush can actually do it all. It is a domed shaped bristle brush that can shade your cheeks and blend the color. It can also be used to define or contour your cheeks. The best way to use a blush brush is in circular motions on the apples of your cheeks. A concealer brush can be used to cover up things such as scars, broken capillaries, brown spots, dark circles and blemishes by blending them with your skin tone. An eyeshadow brush is normally medium in size and smaller than your eyelid. It is used to offer general coverage to your eyeshadow. You should always use this brush to apply the main color of your eyeshadow. Remember to start near the inner corners and stretch towards your crease. A fluffy brush is an excellent option for softening the lines around the edge of your eyeshadow and blending your shadows. Why Do You Feel Better After A Tan?